This is what I’ve won again in the Giveaway I joined at Mommy Jessica’s blog. 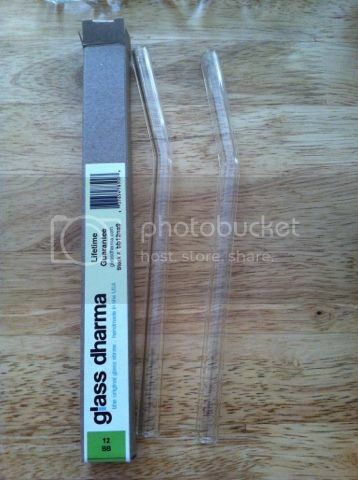 I was so happy that finally, I won this kind of glass straw that way; I won’t keep buying those plastics one. A reusable straw would even better and save me more money. This is good for smoothies, which I always love to make. My son enjoys it so we always have smoothies whenever we have a humid day. That's awesome, you're one lucky gal. MY kids love those straws. Wow! Congrats, I'm not lucky in any giveaways so I don't waste my time to join. Maybe one day if I have more time I will join just for fun. That's great! Glass straw is way more green and safe than plastic. Good for you Sis! You can indeed save with this glass straw. Just take extra care of it! That is a wished product of mine, Novs! Too bad I missed the giveaway that you joined in! :D Congrats!